One of the wonderful things about Mah Jong is that it has many variations when it is being played. This, however, can also be one of the frustrating aspects of it, especially for new players. In fact, it is said that there are more variations of Mah Jong than there are of the complex game of poker. It is a fairly complicated game with many rules to learn and to have to learn new rules all the time can become confusing. Of course, the game itself is so fun that most people are happy to learn the new rules. Some of the main variations include the changing of rules, where the rules are either added to or some rules or removed, along with differences in the equipment itself. Some games use fewer tiles than others, and some also incorporate slightly different tiles into the game play. Some versions have extremely complex scoring systems, and others limit the rounds that can be played. As mentioned, some systems make use of different tiles or remove them altogether. There is one version where three players play, and correct things by removing the North Wind tile. There is one version that is Chinese provincial and has the feature of having absolutely no honours. In the Korean version, the suit of Bamboo has been removed, or in some cases just the numbers two through the number eight so that instead, terminals are able to be used in place of them. The Japanese version of Mah Jong only occasionally uses the flower or season tiles. The seasons are also taken out of the Korean version of the game, but in the Malaysian or Singapore twist to the game, new tiles are actually added in – a third set added to the existing set of bonus tiles which is referred to as animals. They even sometimes include a fourth set of tiles which is referred to as vehicles. There are versions of the tiles that include joker tiles, which are not originally part of the game. As for scorekeeping, some versions of the game use counting sticks, while others use chips to keep count or score. Most American versions of the game use pencil and paper to calculate and keep track of what the score is. There are almost as many variations of the rules as there are sets of Mah Jong. Not really, but there are quite a few different rules to the game. Particularly in Japan and Korea there is a noticeable difference in the rules of Mah Jong. For example, a player is not able to win by a discard if that player has already discarded that particular tile during the playing of the game. All of the tiles that have been thrown away or are discards are kept in very tidy and orderly rows in front of the players. Players may communicate to the other players the term "ready", which means that they are only one small tile away from being the victor of the game. However, they are not allowed to change the hand at any time or receive additional points if they win. There are some variations on the game where the number five tile is replaced by a tile that is all red. This is used as an additional method for players to score points during the game. Korean versions of the game refuses to let players have stolen or melded chows during game play. American versions of the game have several variations. They include the use of joker tiles. They also allow five of a kind and have many different tile patterns that are able to be made during the playing of the game. In Taiwan the stakes are raised a bit by the addition of more tiles, causing players to have to form a fifth set. The result of this is that it is very difficult for players to get a pong or a clean hand. There is a special form of Mah Jong that was created by the Royal Australian Navy's sailors who were avid Mah Jong players. Instead of referring to the directions of west, south, north, and east, they gave them funny names which are: Wallie, Sammie, Normie, and Eddie. Quite humorous indeed. When referring to the Chinese classical form of Mah Jong, people tend to use this as sort of a baseline or a guideline from which all variations spring. In this way there is a centralised format that players can go back to if they wish if they feel the variations are coming on too fast or are getting the game too far away from what it originally was. There are many loyal followers of it in the western world, but there are not that many who play this form in Asia anymore. This is the version that was popularised back in the 1920s, and was one of the first versions of Mah Jong that Americans played. 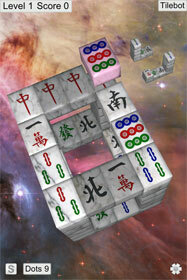 Cantonese or Hong Kong Mah Jong is probably the most widely played form of the game. It is very popular. Its main difference is that in the rules, more than one player is not allowed to win from one discard of a tile. There are also minor variations in the way that the game is scored, and they can differ from country to country.